The Youth Theatre of Uzbekistan is one of the oldest theatres in Central Asia, created on 30 April, 1928. Its founders are the doctor S. Etienne and artist S. Malt open the theatre where was the premier "Uncle Tom's Cabin". It is very difficult to work without own housing, decorations and costumes, but despite, they achieved the success, having a wish to bring children the joy of theatre arts. 13 May, 1967 the theatre was divided into two parts – two Theatres of Young Audience. In addition to that there were problematic performances for high school students: “An exhausted Apostle”, "A Man and Shadow", "lizard", "Teacher of the XXI century", "Dear Elena Sergeevna”. In 1991 the director of the theatre became honored Artist of the Republic of UzbekistanNabi Abdurakhmanov. Thanks to him, the theatre got the creative growth and success. The same year here was opened Studio School of Dramatic Art, its best graduates become the members of the theatre group. In 1998 on the initiative of the staff, the Theatre of Young Audience was renamed to the Youth Theatre of Uzbekistan. 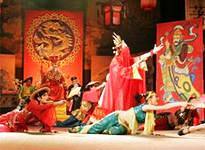 Nowadays the theater's repertoire includes about 40 plays, both for youth adult audiences. 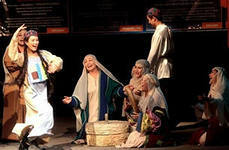 The Youth Theatre of Uzbekistan took part in many international theatre festivals. Currently it with great success goes on tour outside the country.